Waters, John. Shock Value. A Tasteful Book About Bad Taste. Photo available. New York. Dell Publishing. 1981. 243 pps. Octavo. Decorated hard cover. Reprint. Illustrated. Important reference work. Very good copy. Light shelf wear, light staining to inside of front cover. Watkins, James. Turf Irrigation Manual. The Complete Guide to Turf and Landscape Sprinkler Systems. Dallas. Telsco. 1977. 4to. Hard cover. First edition. Illustrated. Fine copy in very good (light shelf wear) dust jacket (in mylar). Watkins, T.H. 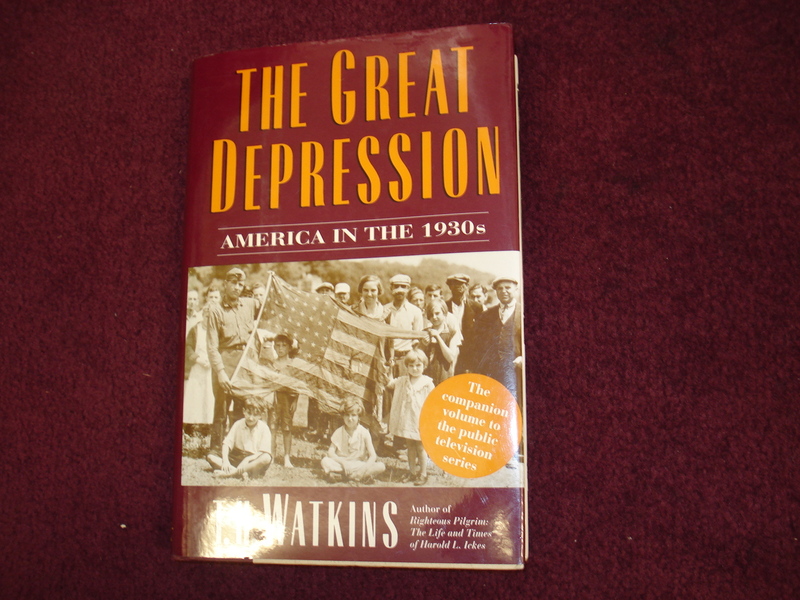 The Great Depression. America in the 1930s. Boston. Little, Brown Co. 1993. Octavo. Hard cover. Illustrated. Fine copy in fine dust jacket (in mylar). Watkins, T.H. The Great Depression. America in the 1930s. Photo available. Boston. Little, Brown Co. 1993. Octavo. Hard cover. First edition. Illustrated in black, white and color. Fine copy in fine dust jacket (in mylar). Watkins, T.H. The Great Depression. America in the 1930s. Photo available. Boston. Little, Brown Co. 1993. Octavo. Soft cover. Reprint. Illustrated. Fine copy. Watney, Marylian. Horse Power (carriages, traces, stages, carts...) London. Hamlyn. 1975. 96 pps. 4to. Hardcover. First edition. Illustrated in color and black & white. Fine copy in fine dust jacket (in mylar). Watson, Andi. Skeleton Key. Volume 1. Beyond the Threshold. San Jose. Slave Labor. 1996. Octavo. Soft cover. First edition. Illustrated. Fine copy. Watson, Andi. Skeleton Key. Volume 4. Cats & Dogs. San Jose. Slave Labor. 1998. Octavo. Soft cover. First edition. Illustrated. Fine copy. Watson, Andi. Skeleton Key. Volume 4. Telling Tales. San Jose. Slave Labor. 1998. Octavo. Soft cover. First edition. Illustrated. Fine copy. Watson, Benjamin A. Acts of God. The Old Farmer's Almanac. Unpredictable Guide to Weather & Natural Disasters. Photo available. New York. Random House. 1993. Octavo. Hard cover. First edition. Illustrated. Fine copy in fine dust jacket (in mylar). Watson, Benjamin. Acts of God. The Old Farmer's Almanac. Unpredictable Guide to Weather & Natural Disasters. New York. Random House. 1993. Octavo. Hard cover. First edition. Illustrated. Fine copy in fine dust jacket (in mylar). Watson, Bruce. Bread & Roses. Mills, Migrants, and the Struggle for the American Dream. New York. Viking Press. 2005. Octavo. Hardcover. First edition. Illustrated. Fine copy in fine dust jacket (in mylar). Watson, Milton. 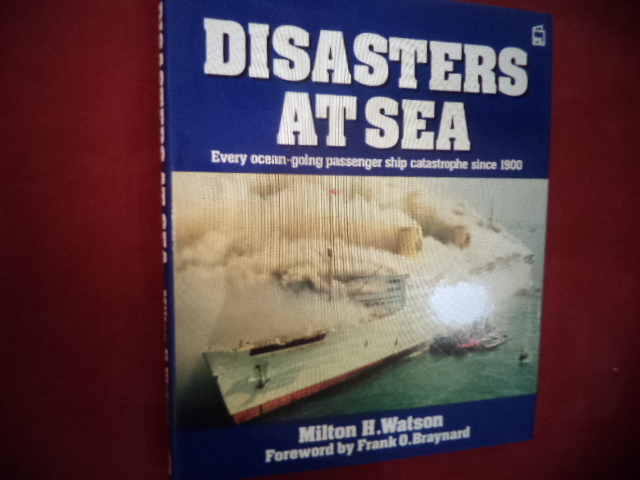 Disasters at Sea. Every Ocean-Going Passenger Ship Catastrophe since 1900. Photo available. Wellingborough. Patrick Stephens. 1987. Octavo. Hard cover. First edition. Illustrated. Fine copy in fine dust jacket (in mylar). Watson, Thomas Edward (1856-1922). The African. Birmingham. Thunderbolt. c. 1980. 32 pps. Octavo. Soft cover. Fine copy. Watson, Thomas. Father, Son & Co. My Life at IBM and Beyond. New York. Bantam Books. 1990. 468 pps. Octavo. Hardcover. First edition. Illustrated. Fine copy in near fine dust jacket (in mylar). Watson, Thomas. Sketches from Roman History. Costa Mesa. Noontide. 1982. Octavo. Soft cover. First edition thus. Fine copy (owner blind stamp). Watt, Richard M. Dare Call It Treason: The True Story of the French Army Mutinies of 1917. New York. Barnes & Noble. 2002. 344 pps. Octavo. Soft cover. Reprint. Illustrated. Fine copy. Watts, Alan & Al Chung-liang Huang. Tao. 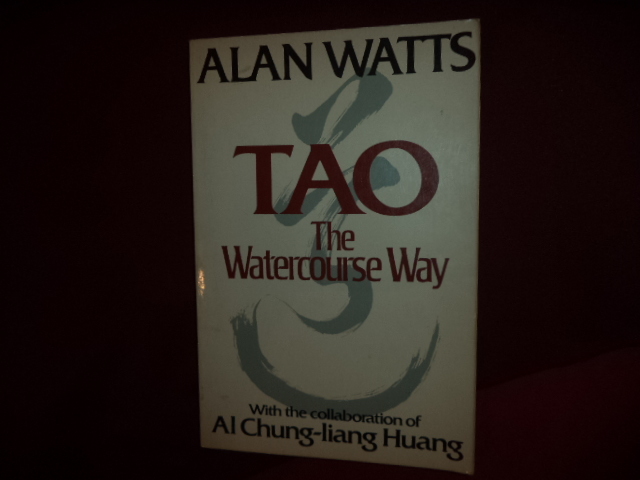 The Watercourse Way. Photo available. New York. Pantheon. 1975. 134 pps. Octavo. Soft cover. First edition, fourth printing. Illustrated. Important reference work. Fine copy. Watts, Alan. Mediation. Book II in the Illustrated Series The Essence of Alan Watts. Millbrae. Celestial Arts. 1974. 63 pps. Octavo. Soft cover. Stated first edition. Illustrated. Very good copy. Name on end paper. Wear to covers and end papers. Watts, Alan. UFO Visitation. Preparing For the Twenty-First Century. London. Blandford. 1996. 218 pps. Octavo. Soft cover. First edition. Illustrated. Fine copy. Watts, Alan. Uncarved Block, Unbleached Silk. The Mystery of Life. Photo available. New York. A & W Visual Library. 1978. 4to. Soft cover. First edition. Illustrated in black, white and color. Important reference work. Fine copy (small worn spot at spine tip). Watts, Jill. 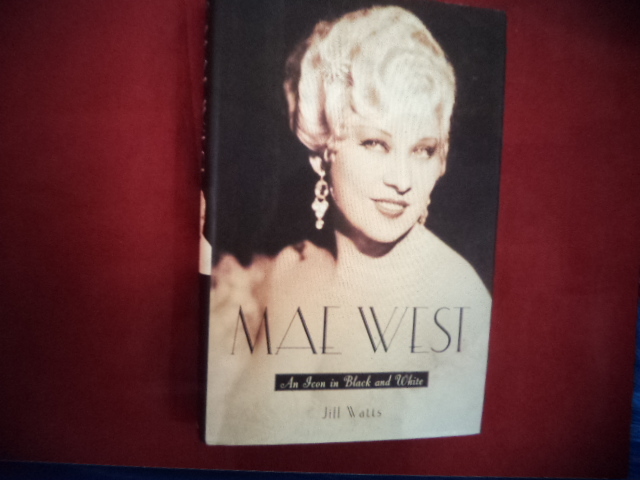 Mae West. An Icon in Black and White. Photo available. Oxford. Oxforn University Press. 2001. Octavo. Hard cover. First edition. Illustrated. Fine copy in fine dust jacket (in mylar). Waugh, Alec & Lynd Ward. Hot Countries. Photo available. New York. The Literary Guild. 1930. Octavo. Hard cover. First edition thus. Illustrated with woodcuts by Lynd Ward. Fine copy (light spine sunning). Waugh, Elizabeth. Simon Bolivar. Photo available. New York. Macmillan. 1941. 326 pps. Octavo. Hardcover. Stated first edition. Illustrated. Important reference work. Fine copy in very good (light edge chipping and fading) dust jacket (in mylar).